New Lincoln and Preowned Car Dealer Serving Toledo | Franklin Park Lincoln, Inc.
See the latest offers available at Franklin Park Lincoln, Inc.
For 40 years, Franklin Park Lincoln has proudly served the Toledo, OH community, offering the newest and most luxurious Lincoln cars, used cars and expert-level auto service. We strive to offer our customers throughout Sylvania, Oregon and Ottawa Hills a comfortable and positive dealership experience, because buying or leasing your next vehicle should always feel exciting. Franklin Park Lincoln is a reputable Lincoln dealer in the greater Toledo and Monroe, MI area. We work hard to create an effortless dealership experience that ends in your total satisfaction. Our team is warm, human, and personal; we want to make sure you know that we're on your side. Our goal is to help you find exactly what you're looking for effortlessly, and in a laid-back way. We'll never pressure you to buy or lease a vehicle if you're not feeling like it's the right fit, and we'll always respect your time and budget. We work hard to streamline the buying and leasing process, as well as ensuring that your vehicle is always well-maintained. As your premier Lincoln dealer, we're happy to offer the newest and most sought-after Lincoln models. Our new Lincoln lineup includes something for every taste and driving style, and our team is ready to guide you to the perfect fit for you. Each of our new Lincoln cars and SUVs comes with updated technology, safety, entertainment, convenience and performance features. Whether you're looking for a sophisticated sedan with all-wheel drive and a Wi-Fi hotspot, or an accommodating SUV that's equipped with heated seats, a sunroof and a navigation system, we've got you covered. If you don't have a specific model in mind already, our team will find out what you're most interested in and highlight some models that will work for your budget and lifestyle. A few popular Lincoln models that we're always thrilled to give you a closer look at include the Lincoln Navigator, the Lincoln Nautilus and the Lincoln MKZ. 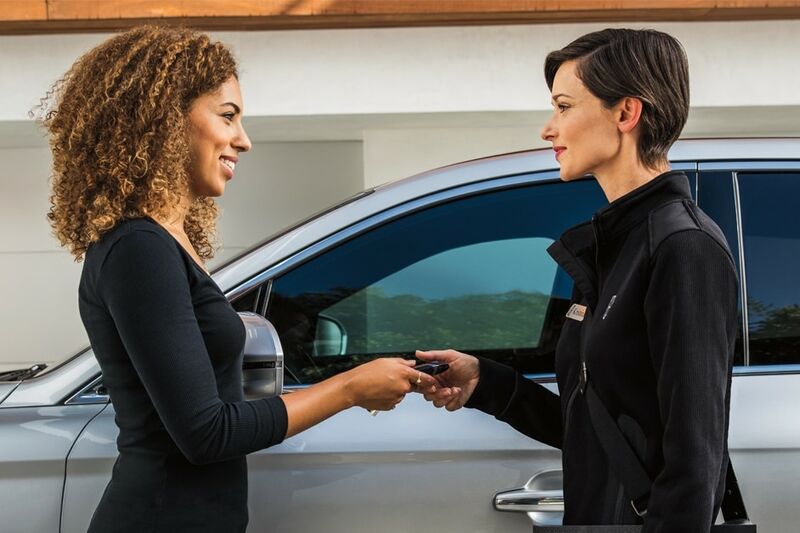 Buying a certified pre-owned Lincoln or a used car from Franklin Park Lincoln is also a fantastic way to enjoy a comfortable, accommodating ride. Our certified pre-owned Lincoln cars have been previously-owned by only one driver, come with a detailed vehicle history report and are still under warranty. They also must undergo a strict multi-point inspection before we include them in our CPO inventory. Our used cars also range in make and model, as well as model year. So regardless of whether you want something on the newer side or something more affordable - we can help. Our used inventory includes brands like Lincoln, Ford, Nissan, Toyota, Lexus, Acura and more. Buying or leasing your dream vehicle should feel great - not stressful. Our finance center is here to get you approved with ease, and devise a financing plan that suits your budget and lifestyle. We can get you moving with your next new Lincoln or used car alongside a plan with affordable payments and agreeable terms. Taking care of your vehicle is another passion of ours, and we want you to get your money's worth. That's why we offer the convenience of an onsite service and repair center. Our expert technicians can handle anything from basic maintenance to more complicated repairs, body work and part replacements. You can always rely on our service team to get the job done right. Choose Franklin Park Lincoln for your next new Lincoln or used vehicle, and reap the benefits of a thrilling and capable vehicle for years to come. We're ready and waiting for you to visit us here in Toledo, OH, and we can't wait to go to work for you right away.